Question: If an employee is injured while commuting, in the parking lot or any other location on the way to work before she actually arrives, could the employee be eligible for workers’ compensation benefits? Does the employer have to report the injury? Answer: For most employees, workers’ compensation benefits are only available when an employee is injured in the workplace. An injury that occurs on an employer’s premises, but not at the employee’s workstation, could still be considered as a workplace injury for workers’ compensation purposes. The workplace can include places such as parking lots, notably where the parking lot is on the employer’s premises and the employer controls the parking lot. By contrast, the workplace of an employer in a shopping mall likely would not include the public parking lot on the mall premises. In order to assess whether it is a workplace injury, consideration will be given to whether the employer controlled the location where the injury occurred and the nature of the activity that the employee was engaged in at the time of the injury. Regular commuting generally will not qualify as falling within the course of an employee’s employment. 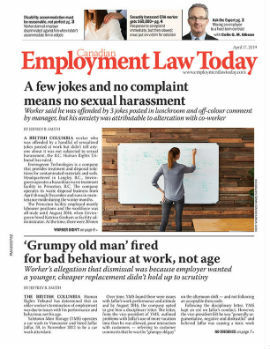 This is the approach taken by the Workplace Safety and Insurance Board in Ontario, which does not consider regular commuting to be in the course of employment where an injury occurs prior to arriving at, or after leaving, an employer’s workplace or premises.